In this article we will give you the best backgammon strategies and tips that can help you become one of the best backgammon players. Before we start, just keep in mind that winning in backgammon requires both luck and skill. 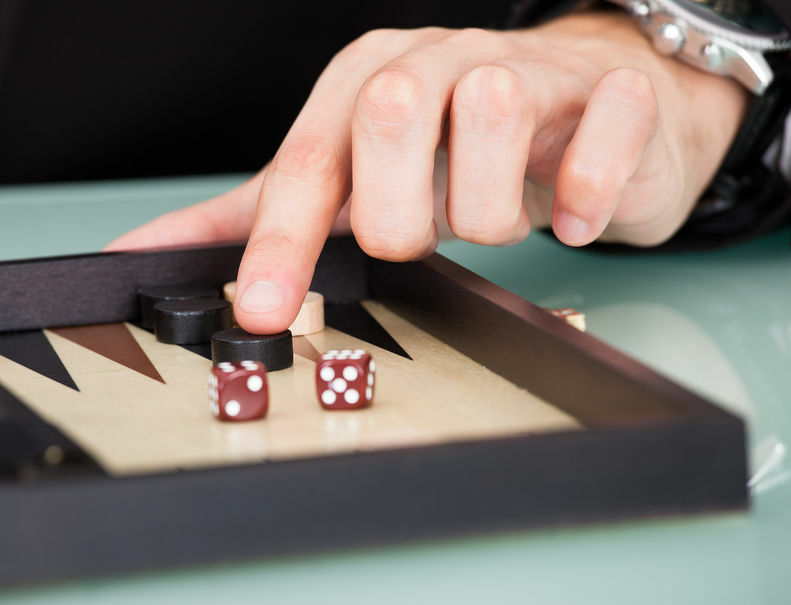 An average player can win a game in a short match against a backgammon pro player if they get good dice rolls. But in the long run, the skilled player has a significant advantage. Though many people say it will take time to become a backgammon pro player, by following this simple yet advanced backgammon strategy guide, you can be one of the best. 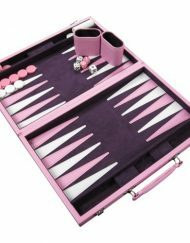 If you are also into some sort of gambling and want to play backgammon for money, this will definitely help you win your game. Let’s start with the backgammon opening moves. There are dozens of moves that can be made when you’re making the opening move in backgammon. A total of 15 possible combinations that can be made if you omit the doubles when rolling two dice. When a player makes the opening move, it is impossible to start the game off with double rolls. What you’ll basically be working with are your checkers in the starting position and the opening roll combination like no double. You might be astounded by the number of opening moves you can make if you do the math for all those numbers. Fortunately the players who have mastered backgammon have outlined the best moves for each dice combination. This simply means that you won’t have to learn the correct opening moves in backgammon through laborious trial and error. The best opening moves you can make so far in backgammon are the ones that allow you to make a point. When you make a point on the backgammon board you own that point and make a hump for your opponent’s checkers to jump over. Owning points on any of the two home boards when you make the opening move is a very powerful strategy in this game. 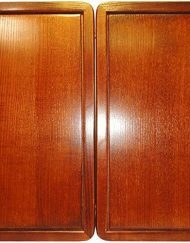 Opening moves can be made in backgammon when you get a 5-3, 6-1, 4-2, and a 3-1. Doing an 8/3 13/7 for a roll of 5-3 in the opening is the recommended move. All experts agree that the correct opening move for 6-1 should be 8/7 13/7. 8/4 6/4 is the recommended opening move for 4-2. The 3-1 opening roll, the best one there ever is, requires a move of 8/5 6/5. If you can’t make points, then your next best shot is to split backgammon checkers. This may leave at least two checkers open to attack, but you can easily make a point in your next turn. Here are the opening moves for the so-called split plays. The first one is for a 6-3 with a recommended opening move of 13/10 24/18. If you get a 6-2 then you should move 13/11 24/18. A 5-1 gets an opening move of 13/8 24/23. If you get a 4-1 the recommended move is 13/9 24/23. A roll of 2-1 should be moved as 13/11 24/23 in the opening. A roll of 5-4 has a recommended opening move of 13/8 24/20. However, if you get 5-2 you should go for 13/8 24/22. 13/9 24/21 is the recommended move for a 4-3 opening. You should play 13/11 24/21 if you get a 3-2 opening. The easiest backgammon opening moves so far are the two running plays in backgammon. The first one is for a 6-4 opening, which has a recommended opening move of 24/14 but has an alternative move as 24/18 13/9. A 6-5 opening roll gets 24/13. It may require some time to memorize all these, but after some practice you’ll remember each opening move in backgammon. 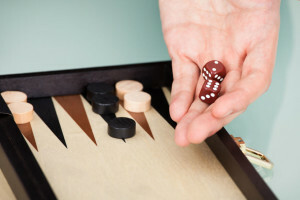 The running or racing game is the simplest backgammon strategy. The idea is to simply move your checkers around the board and bear-off as fast as you can. Use this strategy when you are clearly ahead in a game. Don’t hit your opponent and just concentrate on moving your checkers as safely as possible without leaving any of your own single checkers open. Try not to leave any checkers from your opponent’s board and steadily move them all around. With good luck in your dice rolls you will be the most likely player to bear-off first. Try to build as many points in a row in front of your opponent’s checkers as possible. This will have to make it hard for your opponent to get away. When building a block it is best to make your points in the following order of importance: 5, 4, 7. So it is better to make point 5 than to make point 4 or 7. When you made 6 points in a row or a full prime, it will be impossible for your opponent to get away as long as you can keep the prime. The blitz is an all-out attack on your opponent’s vulnerable checkers. Rather than simply running for home, or trying to build points along the board, the blitz strategy involves landing on your opponent’s checkers whenever possible to send them to the bar. The advantage of this is not only setting your opponent back some number of pips, but you may also be able to trap some checkers on the bar if your opponent does not roll the right numbers to come back onto the board. Keep in mind that attacking close to your home row doesn’t lose, your opponent very many pips, and if your attacking checker remains vulnerable, you are at risk to lose many pips yourself. Another thing you need to know, priming is most effective when combined with the blitz, which is referred to as the “two-way forward” attack. The blitz puts your opponent’s checkers on the bar, and the prime makes sure that coming off of the bar is very difficult, resulting in many wasted dice rolls for your opponent. The doubling cube with the numerals 2, 4, 8, 16, 32, 64 on its faces serves to double the stakes. They may rise to 128, 256 and so on. But it is not advisable to double more than once or twice as the value of the game rises enormously. It is important to judge at all times the extent of your advantages and disadvantages. As a general rule, you should accept a double when you estimate you have at least a 25% chance to win the game. Why? – If you play 4 games and decline the double 4 times, you will lose 4 points. If you play 4 games and accept the double 4 times (assuming a 25% chance of winning in each game), you will lose 6 points and win 2 points for a net loss of 4 points. This calculation does not include the possibility of being gammoned. If there is a good chance you could be gammoned, be more inclined to pass the double. When deciding whether or not to double, consider what you would do if you were in your opponent’s position. If you would pass the double (or believe your opponent should pass), it’s probably correct to double. Understand that owning the cube has value. When you own the cube, you have the right to double and your opponent does not. You can use the cube to end the game, or prevent your opponent from doing so. Doubles at the first opportunity when your opponent needs only one more point to win the match. Your opponent will be forced to accept. If you win the game you could earn 2 points instead of 1, and your opponent gains nothing since they will win the match if they win the game, regardless of the score. Although most online games use the Crawford Rule (which prohibits doubling for one game when a player is one point away from winning the match), you can still use this strategy in the game following the Crawford game, if you win the Crawford game. Moving away from your home board, the holding game relies on maintaining an anchor point in your opponent’s home board. Although it is often wise to advance your furthest checkers early in the game to avoid being trapped, leaving an anchor point in the opponent’s home board gives you two advantages. Defensively, it gives you a safe place to land in case one of your checkers gets sent to the bar. This prevents an opponent from completely priming you into automated defeat. Offensively, the holding game lets your anchor provide a reasonable threat to your opponent’s advancing checkers. If you capture a checker in your opponent’s home board, and then your opponent captures your checker in response, you still come out far ahead in pips. 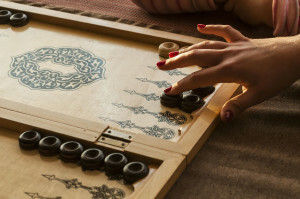 The backgammon back game is considered a more advanced backgammon strategy. This strategy takes the holding game a step further, and relies on maintaining multiple made points in your opponent’s home board. Obviously, since you only start with two checkers on your opponent’s home board, you will only play the back game if your checkers are knocked onto the bar repeatedly. The back game is not an intentional strategy, so much as a way to salvage a game where you are being beaten up. In addition, to increase the offensive threat of the holding game, the back game also inconveniences your opponent by taking up valuable home board real estate. When already way behind in the race it may actually be better to fall even further behind. Your timing and play may be better if you were to be hit again to improve your back-game or prevent crunching your board. .
Once your opponent makes an advanced anchor it becomes even more important to make one yourself. Your opponent can make moves that will really put you on the defensive. If you are ahead in a race, then race! Break contact when ahead and rely on your advantage. If you have an opportunity to hit and are unsure, then hit. Hitting should take priority in most plays, especially in your opponent’s side of the board when it makes an even greater difference in the race. If you are behind in a race and waiting for a shot, build and slot the points in order in your home-board. Early in the game, fight for your 4-points and 5-points on both sides of the board. Consider each position as a new one, not as the overall game play, especially with big swings in you and your opponents advantage. If you can choose between hitting a checker on your opponent’s side of the board or making a point on your own side of the board, it is usually better to hit. Your 7-point is valuable, but given a choice, it is more advantageous to make your 5-point or 4-point. 6’s are best played on your opponent’s side of the board. It is better to make an escape or try for an anchor than to risk getting hit on your side of the board. When bearing off, use all your dice values to take markers off rather than smoothing your distribution of markers by filling empty points. If you are only 2 points away, then try for the un-doubled gammon rather than turning the cube early.